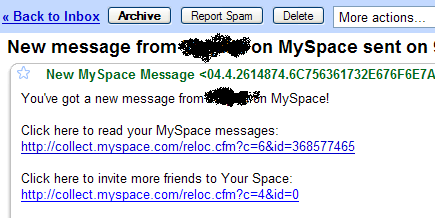 You get a mail from a social network saying that you have a message there. 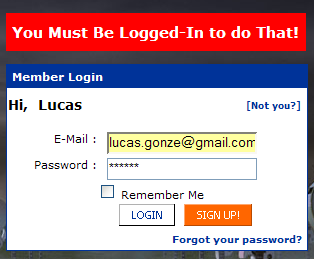 When you go to the URL of the message at the social network, you get bounced to a login screen to ensure that you have the right security credentials. But anybody with access to your email can obtain the credentials. 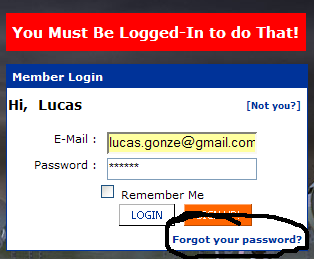 So what is the point of hassling you for the password? In case you haven’t heard of it, there is now a Cruxy Player for Second Life, a portable music player for use at listening parties, as a promotional giveaway, or for just some relaxing downtime in your personal parcel of land. It can load and play music from mp3 playlists using the XSPF standard. I love the Cruxy guys’ idea of doing a playlist module for SL. It would be cool to see this for all the online roleplaying environments, like World of Warcraft. But aren’t these worlds supposed to be sealed off from the outside? Isn’t that the point? The thing is that the marketers don’t and can’t _create_ cool. What’s cool is obvious the instant you, the potential fan, hear it. And coolness always entails genuineness in one way or another. At its best music marketing is a holistic act with fans, musicians and culture businesses bouncing references, new ideas and money back and forth to create a virtuous circle. If the fans dig it, it’s not fake.